I wrote this about a year ago and its so relevant to how I feel lately so I'm going to post it on my "new" blog! I am a worrier. I over think and over analyze things. I have been feeling hurt and unsure because of various things that has happened the last few weeks. Tonight I had dinner with a dear friend who put all my irritations right back into perspective for me. I feel awful for judging someone instead of loving. I let my own human nature get in the way of what God wanted from me. She is such an inspiration to me and I walked away with so much food for thought. I need to learn to let go... of people... of past hurts... of doing too much... of seasons that are over in my life... When we hold onto past hurts and by not forgiving we are actually only hurting ourselves. Holding on to anger is like drinking poison and expecting the other person to die. I am so guilty of this, time and time again. I need to learn to let go of things. I realise that this is something I need to work on. That being said... the other thing that has been on my mind is competitiveness. Miss M is like me, we push ourselves harder than what is needed but because we work hard, I don't know why we cannot be proud of what we have achieved. I don't mean bragging about being better than someone else but being happy about succeeding. Miss M, like me, competes with herself and she is happy for anyone who does well in something. God blessed us all with different talents and its our job to use it to God's glory. I think we honour God by working joyfully. Kahlil Gibran writes, "Work is love made visible and another one. Keeping yourself with labour you are in truth loving life." I think its fair to say that we all have different priorities. Things that are important to me might not be important at all to the next person but thats okay. Its okay to be different and to care about different things. I wish people would stop the hurtful comments and embrace being different. At the moment I feel like I need a break from all of it. I want to crawl under a rock and hide. I have realised that I need to go back to the drawing board... put God first.. and then all the rest of it. Sometimes being busy even with good deeds are not a good thing. Its not necessarily God's plan or will for your life right at that moment. I think I have blogged about it before but finding your balance in life is hard work cause the "target" keeps on moving. It is something that I need to work on daily. I am drained by all the bad things that have happened to people around me lately... its time to focus on the good... to have HOPE... to focus on things and people that give me JOY. Its easier to be sad than to live a happy life. Its easier to complain than to be happy. Its SO true. Some people love to complain. They LOVE drama and feeling sorry for themselves. I have to remind myself often to not get dragged into that negative way of thinking. Being healthy, having a good marriage, raising kids that are well behaved is hard work but its WORTH it. 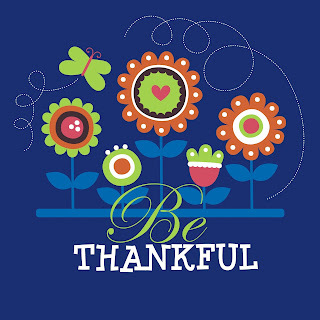 I try my best to focus on being thankful and to not get drawn into the drama but let me tell you, some days its DAMN hard! This is my desktop background at the moment. A constant reminder to be thankful!